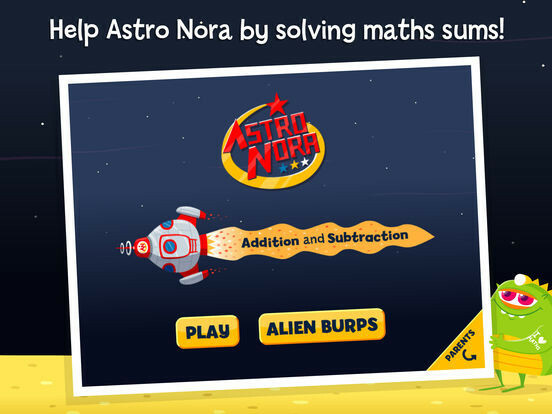 Astro Nora has crash landed on a distant planet! 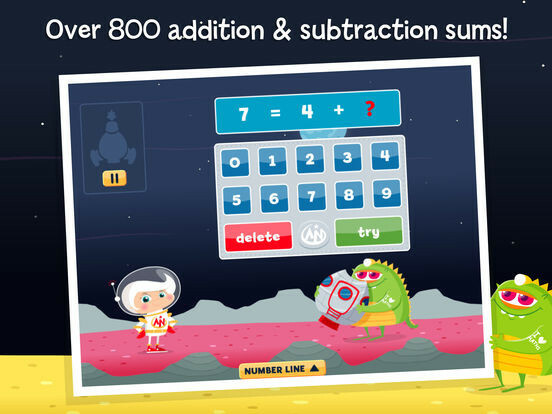 Help her build her rocket to get back home by answering the addition and subtraction questions. 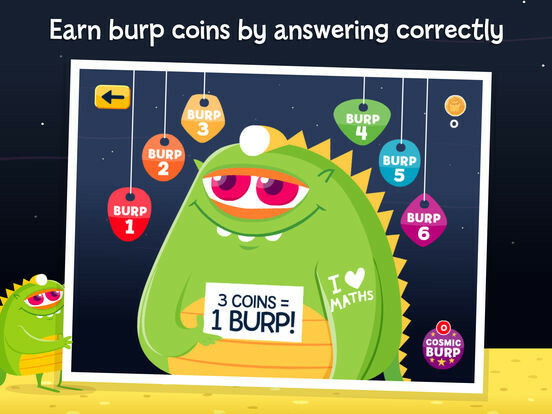 Every time you answer a question correctly you earn some 'Alien Burp' coins. Spend them wisely at the burp shop! 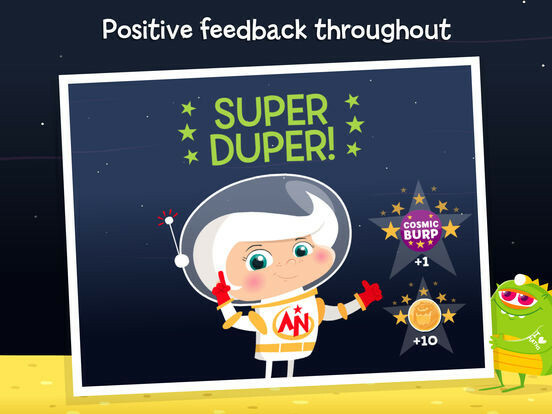 Complete a level with no mistakes and unlock a special 'Cosmic Burp'! 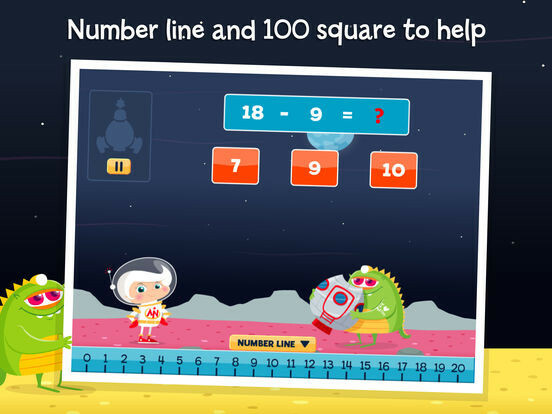 — Made especially for Foundation Stage - Year 2 children. — Two different input methods. Either multiple choice or keypad mode - adding extra difficult and replayability. Coding by Jon Raffe (educational design specialist at Splinter in Liverpool) and illustrated by The Boy Fitz Hammond.